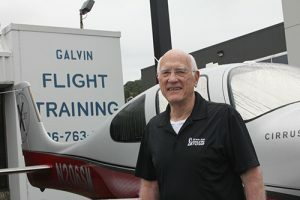 At Galvin Flying we are fortunate to attract a long list of highly qualified flight instructors, including NAFI Master and FAA Gold Seal Instructors. Our professional team includes passionate aviators, current and former airline pilots, military aviators, and technical experts within the aviation industry. Each instructor offers experience in a wide range of aircraft and avionics systems, ensuring you’re receiving the best training available. 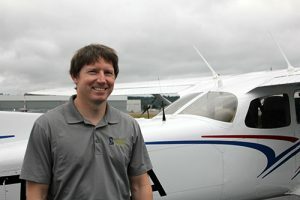 Eric learned to fly in Auburn, Washington, achieving his ratings through MEI in two years. 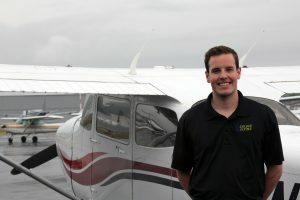 Before moving into flight school operations, he flew as a Horizon Air pilot. Eric’s interest in aviation started when he was 5 years old. He distinctly remembers a flight attendant inviting him into the flight deck of a PSA DC-9 on a flight to Disneyland. After a few minutes he knew he wanted this view in his future job. 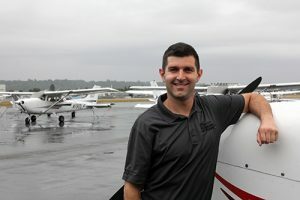 He loves sharing his passion and even after 15 years of flight instructing, he still gets a thrill seeing a student solo. When not keeping Galvin running, Eric spends time with his daughter as they enjoy camping, traveling and playing on the water. Nicole grew up near Campbell Airstrip in Anchorage, Alaska, and always imagined herself flying in the airplanes she’d watch overhead. 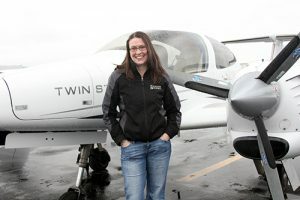 Like many, she finally found herself in an airplane at Galvin several years after earning a degree and working in unrelated fields. Nicole earned all her certificates at Galvin and was adamant when she earned her Instructor certificate that she would one day take over as Chief. 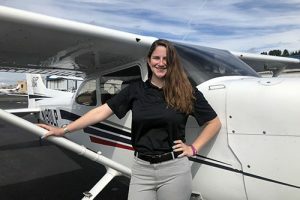 Her favorite part of teaching is sharing her love of flying with her students and seeing her students become better aviators. When not flying, she likes to hike and camp. Bruce grew up in an Air Force family and believes flying is in his DNA. He learned to fly in Spokane, Washington, while he was still in high school. Bruce loves seeing all the pieces of this sometimes complicated undertaking suddenly click with his students. 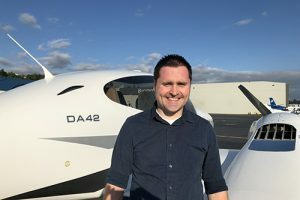 When not working at Galvin, Bruce loves to fly his personal airplanes, write for aviation publications and keep his informational aviation blog up to date. CFI, CFIIGrowing up around family friends who flew for the airlines, Ramsay was inspired to take to the skies at an early age. He attended Utah State University and received a BS in Aviation Technology while earning all his certificates and ratings. Ramsay loves seeing students achieve a milestone, from a certificate to a smooth landing, the pure joy they show is his favorite thing. When not flying, he loves fishing, skiing and being outdoors. After earning his private license at Galvin, Connor enrolled in the University of North Dakota, where he achieved the rest of his ratings. As a kid he was torn between trains and aviation. Then he took a flight in a Cessna 140 at the age of 13 and that was it. 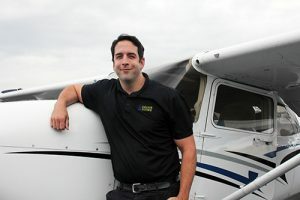 His absolute favorite part of flight instructing is being a part of helping people achieve their dreams. When not making dreams come true, Connor enjoys skiing and playing lacrosse. 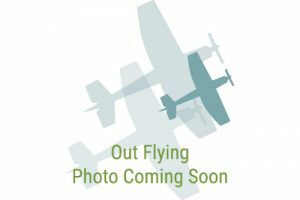 Martin learned to fly at Tacoma Narrows Airport in Gig Harbor, Washington. 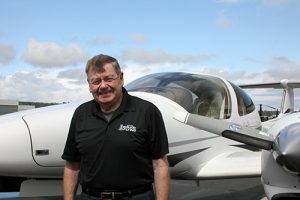 While he started out liking airplanes, but not particularly interested in flying them, Martin credits a pilot friend for talking him into taking lessons. Now he regrets not starting earlier. Martin loves sharing aviation, and particularly enjoys introduction flights to help spark passion in others. When not passing along the passion, Martin enjoys computers, virtual reality and karting. Francisco’s fate was sealed when he took a trip on Kenmore Air to Victoria, B.C. Soon after, he left his very secure job to pursue his passion for aviation, something that had lived in him since childhood. Francisco teaches several of Galvin’s ground school classes while working on his CFI. He hopes to one day become an airline pilot. He strongly believes doing what you love makes you a better person in every aspect of your life. Clay learned to fly at Northwest Aviation College, using his Army National Guard G.I. funding. Employed full time in the tech industry, he flight instructs as a second job to stay involved in aviation. He loves the ability to get above it all, especially traffic, and get away quickly on weekends. When not working or flying, Clay likes kayaking, building his Velocity kit-built airplane and farming his 40 acres of farmland. Bridget learned to fly at Galvin, flying only on the weekends, and earning her ratings in about 18 months. Her desire to embrace aviation stems back to the day she met an astronaut in the fourth grade. She’s been tied to the sky ever since. Her very favorite part of instructing today is seeing her students make a vital connection that makes things come together for them. When not inspiring her students, Bridget likes to ski, golf and volunteer. 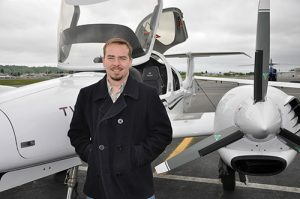 Tyler began learning to fly in 2001 at Auburn Flight Service and transitioned to Embry-Riddle in Prescott, Arizona. 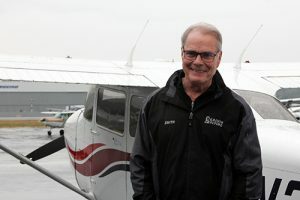 He always wanted to fly and finds taking students into the clouds for the first time one of his favorite parts of instructing. When not cloud dancing, Tyler enjoys spending time with his family, motorcycles, and hiking, camping and mountain biking. 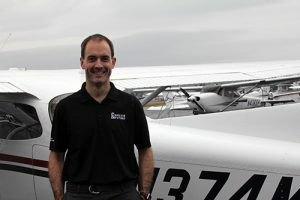 David learned to fly in Fort William, Ontario, and holds both Canadian and FAA licenses. His desire to fly was developed early, listening to bush flying tales in Northern Ontario as a youth. When it comes to teaching, he loves not only observing how different students learn differently, but also the ability to learn from each student in return. When not flying, he enjoys hockey, golf, boating and reading. 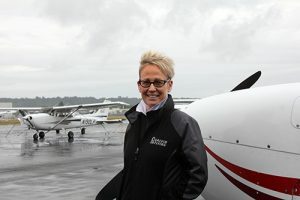 A private pilot herself, Robin learned to fly in Long Beach, California, and Renton, Washington. When it comes to what inspired her, she claims to have been inflicted with a congenital case of the flying bug. 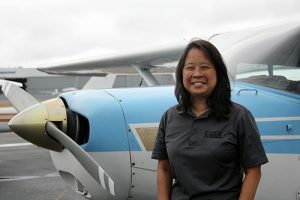 She truly enjoys ground instructing, sharing her passion for aviation and helping people learn and succeed at their dreams. When not instructing, Robin loves to volunteer at aviation and dog events, and likes to train and compete with her dogs in obedience, rally and stock trials. Michael learned to fly at Utah Valley University, earning a degree in Aviation Science. 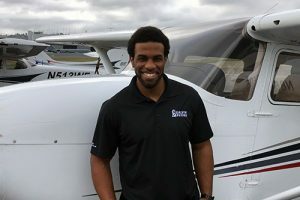 While flying had always been a dream, it wasn’t until he was in college that he decided to make it a career. Michael’s favorite part of flight instructing is watching students land the first time as well as take their first solo flights. When not sharing the gift of flight, Michael loves anything outdoors, including fishing and archery. A Seattle native and graduate of the University of North Dakota, Rachel knew she was going to be a pilot when she was five years old and watched the Blue Angles during SeaFair. She took a discovery flight with Galvin when she was in eighth grade and her fate was sealed. She’s excited to return to Galvin to help the next wave of future aviators achieve their dreams. When not flying, she loves knitting, snowboarding and swimming. Currently a First Officer Trainee at Compass Airlines, Adam learned to fly at Big Bend Community College in Moses Lake, Washington. 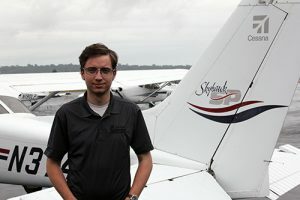 He fell in love with aviation as a young boy, traveling with his dad who worked at an office job at Alaska Airlines. 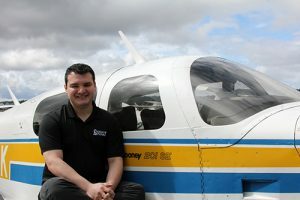 For Adam, the best part of teaching is seeing his students achieve their goals – first unassisted landing, first solo and passing checkrides. Outside of flying, Adam is passionate about video games – both playing and developing them. Michael learned to fly at Action Flying Service in Coeur d’Alene, Idaho. He loves sharing his passion to fly with his students. When not chasing clouds, Michael is interested in engineering, construction, skiing and gardening. Kory learned to fly in the U.S. Navy, piloting F-18 fighter jets for 6 years. 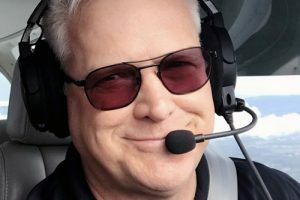 He jokes that flying was a better option than being stuck on a ship or in a metal tube under the surface, but in truth he’d always been drawn to aviation. To him, flying is stress relief. He loves seeing the lightbulb switch on in his students and witnessing the day they get their ratings. Outside of instructing, Kory enjoys aerobatic flying, traveling, hiking and climbing. Ramon learned to fly here at Galvin. He was drawn to aviation by a fascination in the technological achievement of flight. He wanted to follow in the footsteps of aviation pioneers and help make aviation fun, efficient and safe. Ramon’s favorite part of instructing is seeing his students’ smiles when they achieve a goal. When not taking to the skies, Ramon loves going to the beach and hiking. Jim began flight training in the U.S. Navy in 1968, but insists he’s not quite done yet. Type rated in the Boeing 737, 757, 767 and 777 as well as the LearJet, he believes there is always more to learn. 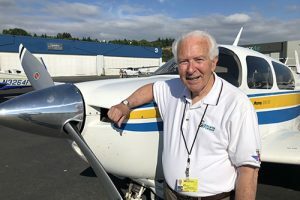 He’s been interested in aviation his whole life; one of the earliest conversations he remembers having with his father was whether airplanes could land on clouds or not. 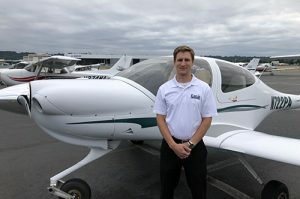 He feels being able to pass along his vast experiences from Naval to civil aviation to his students is one of the best benefits of being an instructor. When not enjoying flight, Jim likes to sail the Puget Sound and annoy his neighbors by flying his drone. JD took his first flight at 9 years old and received his first certificate three months after his 17th birthday, paying for every hour by washing dishes and bussing tables in restaurants. 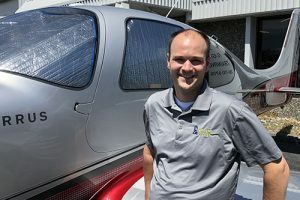 He received all his training in Carlsbad, Calif., and over the years has added helicopter, single engine sea and UAS to his commercial certificate. 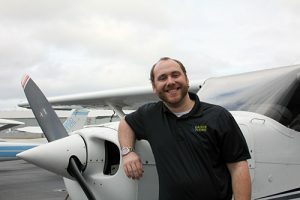 JD loves sharing the experience of flight and watching his students’ confidence grow as they gain their pilot skills. When not cloud dancing, JD enjoys running obstacle races, sailing, designing software, and SCUBA diving. Jack learned to fly here at Boeing Field after a coworker took him for a flight in his Bonanza from Auburn to Hoquim. He realized aviation was the best way to travel and he wanted in on the action. 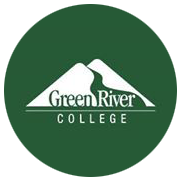 He deeply enjoys instructing students working on their commercial and instrument ratings. In his free time, he likes to hit antique shops with his wife, work on his airplane and socialize with his pilot pals. 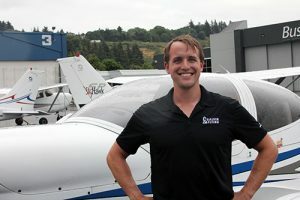 After receiving his private license at Port Townsend Aero Museum, Seth left for Rocky Mountain College in Montana to complete an aeronautical science degree and the remainder of his ratings. 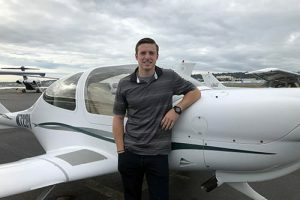 He knows he’s always wanted to be a pilot, but can’t put his finger on the exact moment – whether it was going to the Museum of Flight as a kid, seeing his grandfather fly, or all the times he looked up at airplanes flying by. He loves sharing the passion of flight and seeing students make connections that make them better pilots. When not flying, Seth likes to cook, play piano and camp. 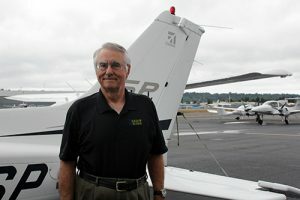 Michael originally began flying in Walla Walla in a PA-11 in 1956. Today, at 32,000 hours, he is still learning and loves to share this passion with his students. 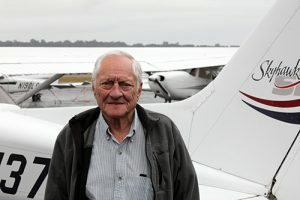 His interest in taking to the skies stems from an itch for travel and adventure while growing up in rural Walla Walla, despite his parents’ belief that pilots were “helmet and goggle wearing vagabonds and penniless womanizing drifters.” When not flying, he enjoys cruising his classic yacht up the Inside Passage, when his life lets him. Jonathan learned to fly at Flight Safety Academy in Vero Beach, Florida, receiving all his ratings in eight months. His interest in flying began when he was a young child and took his first flight from New York to Florida. His favorite part of teaching is having the opportunity to meet many different people from so many backgrounds. Outside of flying, he loves baseball and anything automotive. Carl learned to fly in Reno, Nevada, and Pomono Beach, Florida. Always fascinated with airplanes, he was hooked after his first intro flight. 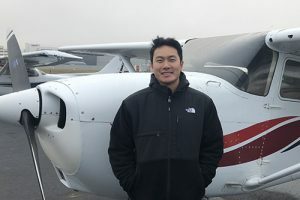 His favorite part of instructing is the moment students make their first unassisted landing, a big step toward the coveted first solo. When not flying airplanes, Carl flies on the trapeze as an instructor and performer. Jason was enthralled with airplanes from an early age. Not only did he love to watch them, but he was curious about the science and engineering of flight. He was hooked on flying after a discovery flight and hasn’t looked back. 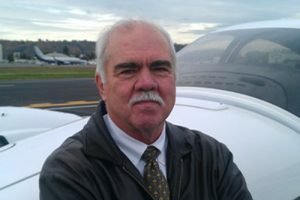 He received most of his flight training in Seattle and his instructor training in Florida. His favorite part of instructing is watching students achieve an “a-ha” moment when everything clicks on a topic or maneuver. When not flying, he stays active with biking, running, hiking and CrossFit. Chris learned to fly in Boise, Idaho. Growing up in an Air Force family with a pilot father, he was quickly hooked with the desire to follow in his footsteps. 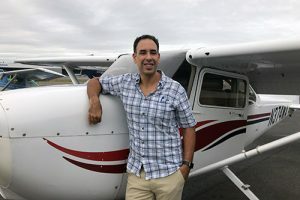 He feels offering the gift of wings touches people’s lives in ways others only dream about, and this makes flight instructing an exceptionally rewarding career. When not bestowing the gift of flight, Chris enjoys downhill skiing and music. The son of a flight attendant, Gokay’s childhood was filled with airplanes. His love developed into a career as an aircraft engineer. He began learning to fly in 2005, and after a break, received his ratings in the last few years. His favorite part of flight instructing is his students’ enthusiasm. Their excitement makes for a fun work environment and he loves helping them achieve their dreams. When not taking to the skies, Gokay enjoys sailing, cooking and trying exotic dishes. Flying since he was a kid, Warren learned to fly all over the U.S., from Idaho, Wyoming and California to Texas and Maine. He credits his sense of adventure for instilling a desire to pursue aviation. He truly enjoys instructing, preferring to view his teaching as a way to help shape and grow his neighbors in the sky. Outside of aviation, Warren hikes, travels, bikes, runs and collects coins. 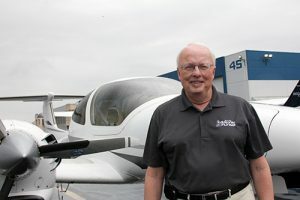 Harvey learned to fly in Pullman, Washington, and has since built flight experience in 37 different general aviation aircraft models during his career. His inspiration for taking flight was his WWII Navy pilot father who taught him to fly after he retired. Harvey loves watching his students discover the joy of flight and gain confidence. When not flying, he enjoys snowmobiling, fast cars and SCUBA diving. 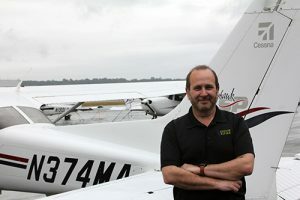 A Gold Seal flight instructor, Wayne is a life-long aviator. He grew up at his family’s FBO in Wyoming, earning his private license at the age of 17. 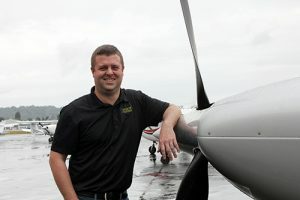 He’s since owned his own FBO in Idaho and has worked in aircraft sales. Wayne’s favorite part about being a flight instructor is working with and sharing aviation with people of all ages.